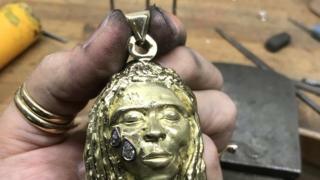 An art student who made a solid gold necklace for Lil Wayne has said the sale helped pay for her course fees. 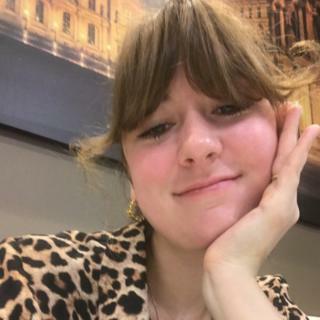 Joy Bonfield-Colombara, 29, from south-east London, said she was struggling to pay her £9,500-a-year course fees at the prestigious Royal College of Art. But just as she was considering dropping out, she received an email from a friend of the US rapper who wanted to buy him a birthday present. The 18-carat gold pendant is in the shape of Lil Wayne’s face. It features two diamonds for the Lollipop singer’s famous teardrop tattoos, which represent the deaths of people in his family. 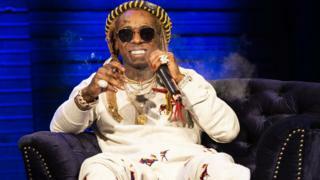 Lil Wayne’s latest album Tha Carter V, which features collaborations with Snoop Dogg, Nicki Minaj, Travis Scott and Kendrick Lamar, reached number five in the UK charts this month. Ms Bonfield-Colombara, who goes by the name Joy BC, said she was “freaking out” when she was told who the commission – which she said was for “thousands” of pounds – was for. “I was about to say ‘no, I’m really sort of trying to figure out stuff with school’. They then said it’s for my friend’s birthday and told me who the friend was,” she said. “I phoned my boyfriend and said I’m freaking out, I’m freaking out,” she said. “I hand carve everything, it takes me a really long time. One piece I made for someone took nine months. “My boyfriend was like you can’t do a Ronaldo on him,” she said, referring to a bronze bust of footballer Cristiano Ronaldo that was mocked on social media.